The most universally acclaimed saint of all times and the most celebrated in all the aalamin (worlds), among jinn and men as well as among the arwaah (souls), the malaaika (angels), and the rijaal ul ghayb (men of the unseen), the beloved of Allah Ta'ala who throughout history has been showered the titles of Muhiyuddin (reviver of the faith), Qutb Rabbani (the spiritual axis established by the Lord), and Ghawth al-A'zam (the greatest helper, the greatest saint), Sayyadi wa Imami Abu Muhammad Abd'al-Qadir al-Jilani (Radi Allahu ta'ala Anhu) was born in Ramadan 470 A.H/1077 C.E in Jilan, Persia. His father, Abu Salih, was a man of taqwa (piety) and a direct descendant of Sayyidina Imam Hasan ibn Ali (Radi Allahu Anhu). His mother, Ummul Khayr Fatima was a saintly daughter of a saintly father Shaykh Abdullah Sawma'i who was a direct descendant of Sayyad ash-shuhadaa Imam Husayn ibn Ali (Radi Allahu Anhu). Thus Muhyiddin Shaykh Abd'al-Qadir al-Jilani (Radi Allahu ta'ala Anha)was both Hasani and Husayni, a descendant of the Beloved Prophet Muhammad (Salla Allahu alayhi wa Sallam) from his beloved daughter Sayyidatina Fatima az-Zahra (Rady Allahu Anha). For this reason, the Sindhis for example, lovingly call him "putar mithe mahbub jo" (the blessed son of the sweet Beloved Prophet - Salla Allahu ta'ala alayhi wa Sallam). The Beloved Prophet Muhammad Mustafa (Salla Allahu ta'ala alayhi wa Sallam) is the last Prophet and there is no prophet after him. But people can still aspire to spiritual progress, acquire taqwa (piety) and saintliness and become awliya Allah (friends of Allah). And the highest spiritual state after the anbiya (prophets), belongs to the siddiqin (the truthful). That is why the Beloved Prophet Muhammad (Salla Allahu ta'ala alayhi wa Sallam) taught us to make the supplication: Allahummaj 'alnaa min-as-siddiqin (O Allah make us among the truthful). Well, Shaykh Abd'al-Qadir al-Jilani (Radi Allahu ta'ala Anhu) manifested to the world that he ranked among the siddiqin at the ripe age of 18. At that age, his thirst for knowledge and eagerness for the company of the awliya Allah (friends of Allah) took him to the city of Baghdad. It is related that as he was about to leave home on this momentous journey, his widowed mother sewed forty gold coins inside his coat as part of his inheritance, and as parting advice told him to be forever truthful. The caravan with which he was travelling had gone as far as Hamadan when it was attacked by a gang of robbers. In the course of their loot, one of the robbers asked him whether he had anything with him and he truthfully replied that he had forty gold coins sewn in his coat. The robber obviously thought he was joking and narrated this incident to his chief who decided to see this young man. When his coat was torn open, sure enough there were forty gold coins. The gang leader was astounded. He asked Shaykh Abd'al Qadir al-Jilani (Radi Allahu ta'ala Anhu) as to why he revealed this when he could have kept it secret. Shaykh Abd'al-Qadir al-Jilani (Radi Allahu ta'ala Anhu) told him that his mother had advised him not to lie and he was duty bound to obey his mother, Hearing this, the gang leader was overtaken with remorse, repented, accepted Shaykh Abd'al-Qadir al-Jilani (Radi Allahu ta'ala Anhu) as his Shaykh and so did all his followers and they went on to acquire wilayah (sainthood) themselves. This is how Shaykh Abd'al-Qadir al-Jilani (Radi Allahu ta'ala Anhu) came to be ranked among the Siddiqin. Allahummaj 'alnaa min-as-Siddiqin, Aameen Yaa Rabbal 'Aalamin. Muslims follow Tariqa (spiritual path leading to Allah Ta’ala) based on Shari’ah(sacred Muslim law). In matters of Shari’a (sacred Muslim law), 'Mehbub Subhani' Shaykh ‘Abd'al-Qadir al-Jilani (Radi Allahu ta'ala anhu) was an authority in the Hanbali madhhab(school of sacred Muslim law) as well as the Shafi’i madhhab, and a chief exponent of the Ahl as-Sunnah wa’l Jama'ah (the people who follow the lifestyle of the Beloved Prophet Muhammad (Salla Allahu ta'ala alayhi wa Sallam) and of his blessed Companions - Radi Allahu ta'ala anhum). The way to draw nearer to Allah Ta'ala is through the fulfilment of obligatory religious duties, additional voluntary prayers day and night, through constant remembrance (dhikr) of Allah, unceasing salawaat (invocations of blessings) on the Beloved Prophet Muhammad (Salla Allahu ta'ala alayhi wa Sallam), Sunnah fasting, charity, zuhd (abstinence) and juhd (exertion in the way of Allah Ta'ala) as exemplified by the Beloved Prophet Muhammad himself. This then is the tariqah (spiritual path leading to Allah Ta'ala) which is rooted in shari’ah (sacred Muslim Law). Shaykh ‘Abd'al Qadir al-Jilani (Radi Allahu ta'ala anhu) learned about the mysteries of tariqah and imbibedspiritual culture (tasawwuf) at the hands of Shaykh Hammad ibn Muslim al-Dabbas, Rahmatullahi ‘alayh. Traditionally, when someone is initiated into a tariqa, he is given a khirqa (sufi robe). Shaykh ‘Abd'al-Qadir al-Jilani was bestowed the khirqa by Shaykh Qadi Abi Sa’id al-Makhzumi, Rahmatullahi ‘alayh, (referred to as Al-Mukharrimi or Al-Makhrimi in some texts). A Shaykh (spiritual master), musk-scented in shari’ah, tariqah and haqiqi ma'rifa (knowledge of spiritual realities), is able to ascertain the spiritual level of a mureed (spiritual seeker/disciple) and can assign additional awraad and azkaar (regular voluntary invocations) to be performed to attain spiritual progress. Shaykh ‘Abd'al-Qadir al-Jilani (Radi Allahu ta'ala anhu) went on to become the epitome of such spiritual masters. The tariqah followed by Shaykh ‘Abd'al-Qadir al-Jilani (Radi Allahu ta'ala anhu) came to be called after him as the Qadiriyya tariqah and it came to be universally accepted as a divinely-guided path to spiritual progress through dhikr(remembrance)of Allah to cleanse one's heart of all evil, to lead a virtuous life, to attain the love of the Beloved Prophet Muhammad, (Salla Allahu ta'ala alayhi wa Sallam), the love of the Ahl al-Bayt (the Prophet's blessed Household), the love of his Sahaba (Companions) and the love of the awliya Allah (friends of Allah); and to follow the shari’ah (sacred Muslim law) according to the teachings of any one of the four Imams of madhhab, that is Imam Abu Hanifa, Imam Shafi’i, Imam Malik and Imam Ahmad ibn Hanbal, may Allah Ta'ala be pleased with them all. The most universally acclaimed saint of all times and the most celebrated in all the aalamin (worlds), among jinn and men as well as among the arwaah (souls), the malaaika (angels), and the rijaal u'l ghayb (men of the unseen), the beloved of Allah (Subhanahu wa ta'ala) who throughout history has been showered the titles of Muhiyuddin (reviver of the faith), Qutb Rabbani (the spiritual axis established by the Lord), and Ghawth al A'zam (the greatest helper, the greatest saint), Sayyadi wa Imami Abu Muhammad Abd'al-Qadir al-Jilani, (Radi Allahu ta'ala Anhu) was born in Ramadan 470 A.H/1077 C.E in Jilan, Persia. His father, Abu Salih, was a man of taqwa (piety) and a direct descendant of Sayyiduna Imam Hasan ibn Ali (Radi Allahu ta'ala Anhu). His mother, Ummu'l Khayr Fatima was a saintly daughter of a saintly father Shaykh Abdullah Sawma'i who was a direct descendant of Sayyadu'sh shuhadaa Imam Husayn ibn Ali (Radi Allahu ta'ala Anhu). Thus Muhiyuddin Shaykh Abd'al-Qadir al-Jilani (Radi Allahu ta'ala Anhu) was both Hasani and Husayni, a descendant of the Most Beloved Prophet Muhammad, (Salla Allahu ta'ala 'alayhi wa Sallam) from his beloved daughter Sayyadatina Fatima az-Zahra, (Radi Allahu ta'ala Anha). For this reason, the Sindhis for example, lovingly call him "putar mithe mahbub jo" (the blessed son of the sweet beloved Prophet - Salla Allahu ta'ala 'alayhi wa Sallam). Khaatam an-Nabiyyin Habibi Rabbi'l aalamin Sayyiduna wa Mawlana Muhammad ibn 'Abdillah, Nurin min Nurillah, Allahumma Salli wa Sallim wa Baarik 'alayh. Shaykh ‘Abd'al-Qadir al-Jilani (Radi Allahu ta'ala anhu) taught Muslims and preached to non-Muslims in Baghdad. His nasiha (advices) and mawa’iza (sermons, discourses) were written down by scribes as he delivered them and they have been compiled and handed down through centuries as classics of Muslim spirituality. One of the beauties of his discourses is that you feel he is addressing you directly. Besides the Qur'an al-Karim and Hadith Sharif, these can be considered to be required minimum reading for someone who aspires to be an ‘aalim (scholar). Faqr (worldly poverty with spiritual riches) of Nabiyyuna wa Habibuna wa Shafi’una Muhammad Mustafa, (Salla allahu ta'ala ‘alayhi wa Sallam). This Hadith Qudsi has been narrated by Hadrat Abu Hurayra, (Radi Allahu ta'ala ‘Anhu) and reported by Imam Bukhari, Rahmatullahi ‘alayh (194-256 A.H, 810-870 C.E).? We find that Shaykh ‘Abd'al-Qadir al-Jilani (Radi Allahu ta'ala ‘Anhu) begins his discourse with an exalted, inspiring and comprehensive salaat (invocation of blessings on Prophet Muhammad, peace be upon him) in which he manifests his deep love for him. In one breath he tells us that the Beloved Prophet Muhammad, (Salla Allahu ta'ala alayhi wa Sallam), praised Allah as no one else did, that he knew Allah as no one else did and that he was inspired by Allah as no one else was. He reminds us that the grandeur of Prophet Muhammad, peace be upon him, has already been manifested in this world and is yet to be revealed in all its glory on the Day of Judgement. The salaat begins with the Name of Allah and uses the wasila (means) of the Beloved Prophet Muhammad, (Salla Allahu ta'ala alayhi wa Sallam). In the same breath, it breathes in the Asma and Sifat of Allah, the Most Beautiful Names and Attributes of Allah, Wahdahu laa sharika lahu. The salaat is on the reality and essence of Prophet Muhammad (Salla Allahu ta'ala alayhi wa Sallam), well as everything that pertains to him or is connected with him in the world of creation and in the world of Allah’s Commad. And all the Prophets, as well as the Messengers of Allah, the angels and the pious people are connected with him. So the salaat is on all of them as well. In one sweep, both the reality and the essence of Prophet Muhammad (Salla Allahu ta'ala alayhi wa Sallam), have been linked to the two worlds of Allah’s creation and Allah’s Command. When you have completed reciting this salaat, you know for sure that you are in the presence of a shaykh, a man of Allah, and you want to establish ta’alluq (connection) with him, as you know that following his teaching and obtaining his baraka (blessings), coming as they do from the pure fount of his blessed ancestor, will lead you to salvation. Aameen. His ‘aqidah (tenets of belief) was that of the Ahl as-Sunnah wa’l Jama'ah, based on the Qur'an al-Kareem, and the Sunnah of the Most Beloved Prophet Muhammad (Salla Allahu ta'ala alayhi wa Sallam). All the sufi saints and mashaykh (spiritual masters) through centuries have expounded on and lived by this ‘aqidah, foremost among them being Imam al-A’zam Imam Abu Hanifa (80-150 A.H), Imam Abu’l Hasan al-Ash’ari (260-324 A.H, 874-935 C.E), and Imam Abu Mansur al-Maturidi (passed away 332 A.H, 944 C.E), Rahmatullahi ‘alayhim ajma’in. Shaykh ‘Abd'al-Qadir al-Jilani (Radi'Allahu ta'ala anhu) has explained it in Al-Ghunya Li Talibi Tariqi’l Haqq (Sufficient Provision for Seekers of the Path of Truth). The foundation of this aqidah is the belief that Allah Ta’ala is the only One worthy of worship and that the Beloved Prophet Muhammad (Salla Allahu ta'ala alayhi wa Sallam) is His Divinely Ordained Final Prophetic Messenger (Rasul). Its nurturing is with Asma al-Husna and mahabba (love) of the Beloved Prophet Muhammad (Salla Allahu ta'ala alayhi wa Sallam), his Pure Household and Blessed Companions. Its manifestation is the spontaneous pride felt in the achievements of the Khulafa ar-Rashidun, that is, Sayyaduna Abu Bakr as-Siddiq, Sayyaduna ‘Umar al-Faruq, Sayyadana ‘Uthman Dhun-Nurayn, and Sayyadana ‘Ali al-Murtada, (Radi Allahu ta'ala anhum).Its daily life is governed by shari’ah (sacred Muslim law). Its spread is through nasiha (good advice), dhikr of Allah Ta'ala and Salawaat and Salaam on the Beloved Prophet Muhammad, (Salla Allahu ta'ala alayhi wa Sallam). Its peak is jihad (battle within oneself, inner struggle), and its ultimate is fana Fillah (annihilation of oneself for the sake of, and in the love of Allah Ta'ala), after which Allah Ta'ala showers you with Baqa Billah (spiritual life everlasting) in His Rida (Pleasure). So you begin with rida’l waalidayn (living in the pleasure of your parents) and end with Ridallah living to please Allah (Subhanahu wa Ta'ala). And the Sahaba (Companions) of the Beloved Prophet Muhammad are referred to as (Radi'Allahu ta'ala anhu) (Allah is well pleased with them and they are pleased with Him as their Lord). And according to Shaykh ‘Abd'al-Qadir al-Jilani (Radi'Allahu ta'ala anhu), his own position is equal to the dust under the feet of the Sahaba. If that is the case, then what is the stature of the blessed Sahaba of the Beloved Prophet Muhammad (Salla Allahu ta'ala alayhi wa Sallam) ? Their spiritual stature derives from the fact that they were blessed with the opportunity of beholding the Beloved Prophet Muhammad (Salla Allahu ta'ala alayhi wa Sallam) with the eyes of iman (faith). That being the case, how can anyone be capable enough to explain in full the sifat (attributes) of Muhammad ‘Arabi, Rasuli Rabbi’l ‘Aalameen, Rahmatullil ‘Aalamin. Only Allah Ta’ala is aware of what He bestowed on His Beloved Prophet Muhammad, Allahumma salli wa sallim ‘alayh. As-Salaatu Kibriti’l Ahmarwhich means red sulphur or “the Philosopher’s Stone”, or something that is very rare to come by. As-Salaat al-Kubraor the “big salaat”. This looks like a bouquet of flowers straight from Paradise consisting of 33 salawaat, and du’a (supplication), all richly interspersed together with 25 verses of the Qur’an al-Kareem. Muslims love these salawaat so much that they make them their wazifa (regular voluntary devotion). For this reason, spiritual masters as well as spiritual seekers include them in their books of salawaat. Two such great Muslim luminaries who have included As-Salaat al-Ghawthiyya in their compilations of salawaat are Imam Muhammad ibn Sulayman al-Jazuli (passed away870 A.H/1465 C.E) in Dalaail u’l Khayraat (Proofs of Good Deeds), and Hadrat Mulla ‘Ali al-Qaari (passed away1014 A.H/1606 C.E) in Hizb u’l A’zam (The Exalted Supplication). The Qadiriya tariqah is one of Zikrullah, remembrance of Allah. The plural of zikr is azkaar. The azkaar and du’a (supplications) of Shaykh ‘Abd'al-Qadir al-Jilani (radi'Allahu ta'ala anhu) have been compiled in many kutub (books), one of which is al-Fuyudhaat ur Rabbaniyya (Emanations of Lorldly Grace). It gives the invocations and supplications of Shaykh ‘Abd'al-Qadir al-Jilani to be recited after every salaah (regular obligatory prayer), for each day of the week, as well as for various special occasions. Such was the spiritual status of Shaykh ‘Abd'al-Qadir al-Jilani (radi'Allahu ta'ala anhu) that in response to his du’a (supplication), Allah would turn a shaqiy (unfortunate person) into a sa’id (someone destined for salvation). Indeed he has so spiritually transformed the lives of so many Muslims in such significant ways that they never forget to mention him in their du’a (supplications to Allah). May Allah, the Glorified and the Exalted make us benefit from him, Aameen. In his Qasaaid (religious poems), Shaykh ‘Abdul Qadir Jilani (Radi Allahu ta'ala‘Anhu) talks mainly about the spiritual station of being intoxicated with the love of Allah. Nine of his Qasaaid are given in Al-Fuyudaat u’r Rabbaniyya (Emanations of Lordly Grace). Of these, Qasida Ghawthiyya, his nazm (didactic poem) on the Asma al-Husna, and his mathnawi perhaps call for more comment. ‘Abd'al-Qadir Fee Iydaah-it-Tasawwuf (Shaykh ‘Abd'al-Qadir in Clarifying the Subject of Spiritual Culture), of Nur-ud-Din ibn ash-Shaykh Husayn Mahmud al-Ghasani. One of the qasaaid of Shaykh ‘Abd'al-Qadir al-Jilani is a mathnawi A mathnawi is a poem in which the two hemistich (half verses) of a verse rhyme, and the rhyme keeps on changing from one verse to the next. Shaykh ‘Abd'al-Ghani Nabulsi Rahmatullahi ‘alayh (1641-1731 C.E) has composed a takhmis of this Qasida. A takhmis is the augmentation of a couplet to a quintent, in other words the quintification of a couplet! We notice that when he talks about the letter “faa”, the Shaykh uses two words that begin with the letter “faa”. These are fanaa and faraagh. Similarly, when he comes to the letter “qaaf”, he uses three words – quwwah, qalb and qiyaam – that begin with the letter “qaaf” . The words associated with the letter “yaa” are yarju, yakhaafu and yaqumu while those that go with the letter “raa” are riqqah and ruju’. Shaykh ‘Abd'al-Qadir al-Jilani (Radi Allahu ta'ala ‘Anhu) was for sure not only a master of the religion of Islam but a master of the Arabic language as well. Shaykh ‘Abd'al-Qadir al-Jilani, (Radi Allahu ta'ala‘Anhu) as the model of a Sufi saint, through his nasiha, azkaar and salawaat, through giving a living reality to Islam, in his complete surrender to the Will of Allah (Subhanhu wa ta'ala) and in his showing of tawakkul (trust in Allah) and through his teaching and preaching converted more than five thousand Jews and Christians to Islam while more than a hundred thousand ruffians, outlaws, murderers, thieves and bandits repented and became devout Muslims and gentle dervishes, explains Shaykh Tosun Bayrak al-Jerrahi al-Halveti in his “Introduction” to the translation of Sirr al-Asrar (The Secret of Secrets, p XXXI). Shaykh ‘Abd'al-Qadir al-Jilani (Radi Allahu ta'ala‘Anhu) says in the 35th Discourse (khutba) in Al-Fath-ur-Rabbani (The Endowment of Divine Grace) that this was among the blessings of our beloved Prophet Muhammad, peace and blessings of Allah be upon him. Shaykh ‘Abd'al-Qadir al-Jilani, (Radi Allahu ta'ala‘Anhu) had four wives, each a model of virtue, and devoted to him. He had forty-nine children, twenty-seven sons and twenty-two daughters. Four of his sons, Shaykh ‘Abdul Wahhab, Shaykh ‘Isa, Shaykh ‘Abdul Razzaq and Shaykh Musa became famous for their education and learning, and they and their descendants spread Islam in other parts of the world. Shaykh ‘Abd'al-Qadir al-Jilani (Radi Allahu ta'ala‘Anhu) passed away with the dhikrof Allah (Subhanhu wa ta'ala) on his lips on 11 Rabi’ al-Akhir 561 A.H, 1166 C.E, at the age of 91. A special dhikrsession is held that night. 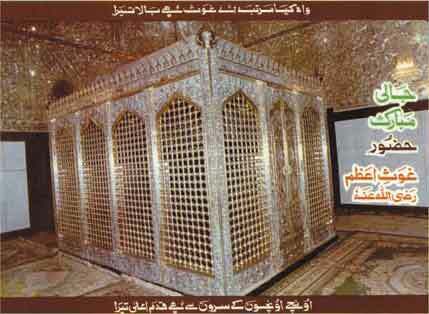 It is variously known as Khatm Ghawthiya, Ziyara Shaykh ‘Abdul Qadir Jilani, ‘Urs Shareef, or Giyarwee Shareef. In Eastern Africa, a whole night dhikrsession is held in congregation ending with Fajar salaah after which breakfast is served. In some places, dhikrsessions continue for days. These dhikrsessions draw murideen (spiritual seekers) in their thousands who come out spiritually rejuvenated, with their characters transformed and refined, ready to sacrifice everything they have for the sake of Allah. And these halaqa (gatherings) of dhikrin Tariqat al-Qadiriya have continued to attract millions of people to Islam through centuries and will continue to do so, Insha-Allah, till the Day of Judgement, Aameen. Besides this annual dhikrcongregation, dhikrsessions are also held on the eleventh of every month (hence called Giyarwee Shareef in Urdu), as well as every Thursday night, as the night before Jumu’a is considered auspicious. The murideen (spiritual seekers) also do dhikreveryday individually in a mosque or at home. This then is one of the enduring legacies of Shaykh ‘Abd'al-Qadir al-Jilani, (Radi Allahu ta'ala ‘Anhu). Other mashaykh (spiritual masters)came who continued with the work of Shaykh ‘Abd'al-Qadir al-Jilani (Radi Allahu ta'ala‘Anhu). A few examples suffice to illustrate this. The first example is that of Khawaja Mu'inuddin Chishti Ajmeri Rahmatullahi ‘alayh (passed away 627 A.H/1230 C.E), who acknowledged Shaykh ‘Abdul Qadir Jilani as his Shaykh and spread Islam in India. He achieved such a high spiritual status that he is called Sultan al-Hind (the Sultan of saints in the Indian sub-continent) and all the saints in that region are under his banner while he is under the banner of the Ghawth al A'zam. In the same way Shaykh Uways ibn Muhammad Rahmatullahi ‘alayh (1263-1326 A.H, 1847-1909 C.E) of Somalia became a khalifa (vicegerent) in Tariqat al-Qadiriya at the shrine of Shaykh ‘Abd'al-Qadir al-Jilani (Radi Allahu ta'ala‘Anhu)in Baghdad and spread Islam in the whole of Eastern Africa through congregations of dhikr. And Shaykh Hamzah Fansuri, Rahmatullahi ‘alayh, considered to be one of the greatest saints in Indonesia in the 16th century C.E. proudly proclaimed that he learned Islam from Shaykh ‘Abd'al-Qadir al-Jilani (Radi Allahu ta'ala‘Anhu) . It can truly be said that the muhibbin (loving disciples) of Shaykh ‘Abd'al-Qadir al-Jilani (Radi Allahu ta'ala ‘Anhu) have spread Islam throughout the world through dhikr. The barakaat (blessings) of dhikr are truly unending. May Allah Ta'ala make us among the zakirin (those who remember Him), Aameen. And the granting of wilayah (the status of a saint) by Allah Ta'ala to the zakirin (those who remember Him), ‘abidin (those who worship Him), salihin (pious), and muhibbin (those who love Him and the Beloved Prophet Muhammad) is in all instances mediated by the Beloved Prophet Muhammad (Salla Allahu ta'ala ‘alayhi wa Sallam), Shaykh ‘Abd'al-Qadir al-Jilani (Radi Allahu ta'ala‘Anhu) and one's own Shaykh. After all, the awliya Allah (Friends of Allah) and the ‘ulama (learned scholars) are the Khalifatullah, vicegerants of Allah. Allahumma’j’alnaa fee zumrati’l awliya wa’s salihin (O Allah! Keep us in the company of the saints and the pious), Aameen Yaa Rabba’l ‘Aalamin. Some scholars have written whole books of biography on Shaykh ‘Abd'al-Qadir al-Jilani (Radi Allahu ta'ala ‘Anhu). Some have written articles on him while others have mentioned him in their writings by way of illustration. A preliminary survey reveals the following biographies of the Shaykh in various languages. Imam Muhiyuddin an-Nawawi (631-676 A.H), in Bustan u’l ‘Arifin (Gardens of the Spiritual Masters). Shaykh Abu’l Hasan ‘Ali ash-Shattanawfi of Egypt (passed away713 A.H, 1314 C.E), in Bahjat al-Asrar (Splendour of the Mysteries). This is the first major biography of the Shaykh from which others have benefited. Shaykh ‘Afif u’d Din al-Yafi’i ash-Shafi’i of Yemen (718-768 A.H, 1318-1367 C.E), in Khulasat al-mafakhir fi’ktisar manaqib ash-Shaykh ‘Abd al-Qadir (A Biography of Shaykh ‘Abdul Qadir summarising his glorious qualities), and in Mir’at al-Jinan (The Mirrors of Paradises). Al-Hafiz Imad-ud-Din ibn Kathir (701-774 A.H, 1302-1373 C.E), in his Tarikh (History) entitled Al-Bidaya wa’n Nihaya (The Beginning and the End). He also quotes from about a dozen biographies of the Shaykh by various well-known ‘ulama (learned scholars). Shaykh Hasan ibn ‘Umayr ash-Shirazi in ‘Iqd al-‘Iqyan. This is a manaqib (biography) of 17 chapters in poetic prose in which the verses alternatively rhyme in the letters “yaa”, and “alif”. Shaykh ‘Abdur Rahman ibn Ahmad al-Qadiri az-Zayla’i, entitled “Fayd ur Rahmani” (“The Grace of the Beneficent”), consisting of 11 chapters in Majmu’a Mushtamila (A Compendium of Writings). Mawlana Muhammad Ilyas Attar Qadiri, in Jinnat Ka Baadshah (The King of Jinns and Other Marvels of Ghawth al-A'zam), in which he has primarily referenced the original source, that is the biography of the Shaykh entitled Bahjat al-Asrar of Shaykh ash-Shattanawfi. He also quotes a few verses from Shah Waliyullah Dehlawi Rahmatullahi ‘alayh (passed away 1176 A.H, 1762 C.E) in honour of the Shaykh. - Mujaddid Alfi Thani Shaykh Ahmad Faruqi as-Sirhindi, Rahmatullahi ‘alayh (972-1034 A.H, 1564-1625 C.E) who has written about Shaykh ‘Abdul Qadir Jilani in Maktub Number 123 in his Maktubat (Letters). - Shaykh ‘Abdul Haqq Muhaddith Dehlawi Rahmatullahi ‘alayh (passed away 1052 A.H, 1642 C.E), in Akhbar al-Akhyar (Narratives About The Chosen Ones). He translated the Futuh al-Ghaib of the Ghawth al-A’zam into Persian. ‘Allamah ‘Abdur Rahim Khan Qadiri, in Sirat-e-Ghawth-e-A’zam (The History of the Ghawth al-A’zam). This is another comprehensive biography of about 250 pages. Mawlana ‘Ashiq Ilahi Mirthi, in the “Introduction” to his translation of Al-Fath-ur-Rabbani. Mawlana Sayyid ‘Abd ud Daim Jilani , in the “Introduction” to his translation of Al-Ghunya Li Talibi Tariqi’l Haqq. Shaykh Muzaffar Ozak Effendi, in Ziynet ul Qulub (The Adornment of Hearts), translated by Shaykh Muhtar Holland. Dr. Zahurul Hasan Sharib, Rahmatullahi ‘alayh, entitled Ghawth al A’zam Pirane Pir (The Greatest Spiritual Helper, The Shaykh of Shaykhs). Dr. Muhammad Haroon, Rahmatullahi ‘alayh, “The World Importance of Ghawth Al A’zam Shaykh ‘Abdul Qadir Jilani”. Shaykh Tosun al-Jerrahi al-Halveti, in the “Introduction” to his translation of Sirr al-Asrar (The Secret of Secrets). Shaykh Muhtar Holland, in the “Introduction” to his translation of Futuh al-Ghaib (Revelations of the Unseen). Shaykh Muhammad al-Akili, in the “Preface” to his translation of Al Fath-ur- Rabbani (The Endowment of Divine Grace). Professor Shetha al-Dargazelli and Dr. Louay Fatoohi, in the “Introduction” to their translation of Jila al-Khatir (Purification of the Mind). The following is a very short excerpt of what Shaykh ‘Afif ud-Din al-Yafi’i al-Yamani Rahmatullahi ‘alayh had to say about Shaykh ‘Abd'al-Qadir al-Jilani (Radi Allahu ta'ala ‘Anhu) in his Ta’rikh (History). Imam Shihabuddin ‘Umar ibn Muhammad as-Suhrawardi Rahmatullahi ‘alayh in his universally acclaimed classic Awarif ul Ma'arif (The gnosis of the gnostics) refers to Shaykh ‘Abd'al-Qadir al-Jilani as "Our Shaykh" and quotes his advice. “The venerable ‘Abd al-Qadir al-Jilani (Radi Allahu ta'ala ‘Anhu) passed on to the Realm of Divine Beauty in 561 A.H/1166 C.E, and his blessed mausoleum in Baghdad is still a place of pious visitation. He is noted for his extraordinary spiritual experiences and exploits and wise teachings. It is rightly said of him that ‘he was born in love, grew in perfection, and met his Lord in the perfection of love.’ May the All-Glorious Lord bring us in contact with his lofty spiritual influence!” Aameen. (Qalaid al-Jawahir, back cover). “The words of Shaykh ‘Abd al-Qadir al-Jilani (Radi Allahu ta'ala ‘Anhu) can undoubtedly be considered among the most precious treasures of Islam. Indeed, Al-Baz Publishing was founded with the intention of providing fine English translations of his works for the benefit of English-speaking Muslims everywhere, in the spirit of wishing to share the benefit and blessing we have received ourselves at his hand. I became first interested in Shaykh ‘Abd al-Qadir (Radi Allahu ta'ala ‘Anhu) in learning from my own spiritual guide and benefactor Bapak Muhammad Sumohadiwidjojo, founder of the Subud brotherhood (may Allah be well pleased with him) that Allah had bestowed on the Shaykh the same opening and contact that Bapak himself received from Allah, and which he has passed on to us. Sayyadi wa Imami, Imam ‘Abdallah ibn ‘Alawi al-Haddad, Rady Allahu ‘Anhu, (1044-1132 A.H) in expounding on tawakkul (trust and reliance on Allah) in his spiritual masterpiece Risalat u’l Mu’awanah (The Book of Assistance) explains the signs of tawakkul and supports his position with the example of Shaykh ‘Abd'al-Qadir al-Jilani, (Radi Allahu ta'ala ‘Anhu) whom he calls “sayyadi” (“my master”). “The one whose reliance is sincere has three marks. The first is that he neither has hopes in nor fears other than God. The sign of this is that he upholds the truth in the presence of those in whose regard people usually have hope or fear, such as princes and rulers. The second is that worrying about his sustenance never enters his heart, because of his confidence in God’s guarantee, so that his heart is as tranquil when in need as when his need is fulfilled, or even more. The third is that his heart does not become disturbed in fearful situations, knowing that that which has missed him could never have struck him, and that which has struck him could never have missed him. An example of this was related of my lord ‘Abdal-Qadir al-Jilani (Radi Allahu ta'ala ‘Anhu), may God spread his benefit. He was once discoursing on Destiny when a great viper fell on him, so that his audience panicked. The viper coiled itself around the shaykh’s neck, then entered one of his sleeves and came out from the other while he remained firm and unperturbed, and did not interrupt his discourse”. (Risalat al-Mu’awanah, The Book of Assistance, translated by Dr. Mostafa al-Badawi, p. 121-122). It has been narrated in the biographies of Shaykh ‘Abdul Qadir Jilani (Radi Allahu ta'ala ‘Anhu) that once he saw a dazzling light which filled the whole sky. Then a human frame appeared in it and told him he was his lord and that he had made everything that was prohibited in Islam lawful for him. Shaykh ‘Abd'al-Qadir al-Jilani (Radi Allahu ta'ala ‘Anhu) recognized him as the devil and told him to get lost. Then the sky turned dark and the human frame fizzled out into smoke. Following this, Shaykh ‘Abd'al-Qadir al-Jilani(Radi Allahu ta'ala ‘Anhu) heard someone say to him that he had misled seventy people in this way but that his knowledge and piety had saved him. To this the Shaykh responded that it was through the Grace of Allah that he had been saved! The machinations of shaytan could obviously never make Shaykh ‘Abd'al- Qadir al-Jilani (Radi Allahu ta'ala ‘Anhu) abandon the shari’ah (sacred Muslim law). Professor Shetha al-Dargazelli and Dr. Louay Fatoohi explain in their “Introduction” to the translation of Jila al-Khatir how Shaykh ‘Abd'al-Qadir al-Jilani (Radi Allahu ta'ala ‘Anhu) came to be called Muhiyuddin. Once on a Friday in the year 511 A.H, Shaykh ‘Abd'al-Qadir al-Jilani (Radi Allahu ta'ala ‘Anhu) came across a frail old invalid who greeted him and asked him to help him to sit up. When he helped him to sit up, he became well again and his whole condition improved. He told Shaykh ‘Abd'al- Qadir al-Jilani (Radi Allahu ta'ala ‘Anhu) that he was the religion of Islam which had been forgotten but which he had helped to revive. Following this incident, Shaykh ‘Abd'al-Qadir al-Jilani (Radi Allahu ta'ala ‘Anhu) went to the congregational mosque where people greeted him as “Muhyid Din” (Reviver of Religion). He had never been called by that name before! Shaykh Hammad al-Dabbas Rahmatullahi ‘alayh had predicted that one day Shaykh ‘Abd'al-Qadir al-Jilani (Radi Allahu ta'ala ‘Anhu)would be commanded to proclaim that his foot is on the neck of every Waliyallah (friend of Allah). This prediction was fulfilled when Shaykh ‘Abd'al-Qadir al-Jilani (Radi Allahu ta'ala ‘Anhu) declared at one of his majalis (religious sessions) in the presence of more than forty mashaykh (spiritual masters) of Iraq that his foot was on the neck of every Waliyallah. All the mashaykh, those that were present as well as those in far off lands and places acknowledged and accepted this fact. Qutb u’l Irshad Imam ‘Abdallah ibn ‘Alawi al-Haddad has versified on this spiritual reality in one of his qasaaid (eulogies) in Ad-Durr ul Manzum li Dhawil ‘Uqul wa’l Fuhum (Poetic Pearls For Discerning and Understanding Minds). A’la Hadrat Imam Ahmad Raza Khan Rahmatullahi ‘alayh has versified on it in his “Salaams”, while Shaykh ‘Abdul Haqq Muhaddith Dehlawi (Radi Allahu ta'ala ‘Anhu) has expounded on its spiritual reality in Akhbar u’l Akhyar (Narrations About The Chosen Ones). But the initiate sometimes wonders why Shaykh ‘Abd'al-Qadir al-Jilani (Radi Allahu ta'ala ‘Anhu) revealed so many spiritual secrets when most other shuyukh (spiritual masters) are reticent. To answer this question, we will need to turn to Sayyidi wa Imami Qutb u’l Irshad al-Habib Mawlana ‘Abdallah ibn ‘Alawi al-Haddad (Radi Allahu ta'ala ‘Anhu). In It-haaf i’s-saail (Gifts for the Seeker), he explains that Shaykh ‘Abd'al-Qadir al-Jilani, Radi Allahu ‘Anhu had received permission to divulge these spiritual secrets - "for the man who receives such permission is under an order which he can but obey - and the secret of the permission granted in such matters is itself one that cannot be divulged." (Gifts for the Seeker, translation by Dr. Mostafa al-Badawi, p.11). Imam ‘Abdallah ibn ‘Alawi al-Haddad, in Ad-Durr u’l Manzum Li-Dhawi’l ‘Uqul wa’l Fuhum, p. 240. Shaykh ‘Afif ud-Din Muhammad al-Yafi’i al-Yamani, quoted in Qalaid al-Jawahir, p. 552. Qadi Abu Bakr ibn al-Qadi Ishaq of Egypt, widely known as Ibni al-Fattah al-Misri, quoted in Qalaid al-Jawahir, p. 557. Shaykh Uways bin Muhammad al-Qadiri of Somalia. Two of his poems on the Shaykh are given in Jawhar un Nafis (p. 102-107). The first one, consisting of 45 verses is on Baghdad, in the poetical meter of waafir. The second, which has 34 verses, is a Nuniyya in that all the verses rhyme in the letter “nun”. It is also a hurufiyya; the first verse begins with “alif”, the first letter in the Arabic alphabet; the second with the letter “baa”; the third with the letter “taa”; and so on until we come to the last letter “yaa”, after which a few more verses are added. In this way, all the letters or “huruf” of the Arabic alphabet are used. Hence, it is a “hurufiyya”. Shaykh ‘Abdur Rahman bin Ahmad az-Zayla’i of Somalia (compiled in Majmu’a Mushtamila, p. 83-85, 116-119, 121-124). He has three qasaaid, one a “laamiyya” with 31 verses rhyming in the letter “laam”, the second a “raaiyya” with 41 verses rhyming in the letter”raa”, and the third an “alifiyya”, with 28 verses rhyming in the letter “alif”. Shaykh ‘Abdur Rahman bin Shaykh ‘Abdallah of Somalia in Dalil i’l ‘Ibaad ilaa Sabil i’r Rashad (A Guide For Servants To The Path of Allah, p. 115-117). His qasida is a “raaiyya” with 22 verses in the poetical meter of “raml”. Shaykh ‘Abdallah bin Mu’allim Yusuf al-Qutbi al-Qadiri, in his compendium entitled Al-Majmu’a al-Mubaraka al-Mushtamila ‘alaa Kutubi Khamsa (A Blessed Compendium of Five Books). He composed two eulogies on the Shaykh, one of which is a “Nuniyya hurufiyya” in which the verses begin in alphabetical order and rhyme in the letter “nun”. It is in the poetical meter of “al-hajaz”. The second qasida is a “Raaiyya hurufiyya” in which the verses begin in alphabetical order and rhyme in the letter “raa”. It is in the poetical meter of “al-rajaz”. He composed three qasaaid, a “raaiyya”with 16 verses, another “raaiyya” with 65 verses, and a “nuniyya” with 41 verses. This “nuniyya” contains all the attributive names and titles of praise of Shaykh ‘Abd'al-Qadir al-Jilani (Radi Allahu ta'ala ‘Anhu). These qasaaid are given in Al-Majmu’a al-Mubaraka al-Mushtamila ‘alaa Kutubi Khamsa mentioned above. Shaykh ‘Abdul ‘Aziz bin ‘Abdul Ghani al-Umawi. He composed a few verses on Shaykh ‘Abdul Qadir Jilani (Radi Allahu ‘ta'ala Anhu) which are given inAl-Majmu’a al-Mubaraka al-Mushtamila ‘alaa Kutubi Khamsa mentioned above. The other manqabat that Miya ‘Umar Din has included are by Mawlana Hasrat Mawhani, Hadrat Hasan Raza Barelwi, Hadrat Daagh Dehlawi, Hamid Warthi, Waqif Jallendri, and Baydam Warthi. Of all the mashaykh who have composed the manqabat on the Shaykh, Imam Ahmad Raza Khan Rahmatullahi ‘alayh, occupies pride of place in that he has composed the greatest number of manqabat. In all, he composed 11 manqabat which are given in Hadaaiqi Bakhshish (The Gardens of Gifts). He also composed the “Shajarah Qadiriya” in verse which gives the spiritual roots of Shaykh ‘Abd'al-Qadir al-Jilani (Radi Allahu ‘ta'ala Anhu) , and he rendered a poetic translation of Qasida Ghawthiya in Farsi. Gulzare Tayyiba (The Pleasant Garden), compiled by Sayyad Muhammad Isma’il Shirazi, contains 17 manqabat in Urdu composed by Sayyad ‘Abdur Rahim Muhammad Isma’il Shirazi and various other scholars. Sirat-e-Ghawth-e-A’zam (The History of the Greatest Saint) of al-‘Allama ‘Abdur Rahim Khan Qadiri has 4 manqabat in Urdu composed by himself and various other scholars. Nur Namu (An Exposition on the Light of Prophet Muhammad, peace be upon him) of Abu’l Hasan has one manqabat in Sindhi. And we must not forget all the qawwalis in honour of the Shaykh in Urdu, Farsi and Punjabi. By Shaykh Hamzah Fansuri, Rahmatullahi ‘alayh, as quoted by Professor Sayyad Muhammad Naquib al-‘Attas in Some Aspects of Sufism as Understood and Practiced Among the Malays. there is so much religious poetry in honour of Shaykh ‘Abd'al-Qadir al-Jilani (Radi Allahu ‘ta'ala Anhu) , then how much more religious poetry must there be on the family and companions of Prophet Muhammad, peace be upon him, and on the Beloved Prophet Muhammad Mustafa (Salla Allahu ‘ta'ala alayhi wa Sallam) himself Allahumma salli wa sallim wa baarik ‘alayh. In a short article like this, it is not possible to give any detailed appreciation of all the poetry in honour of Shaykh ‘Abd'al-Qadir al-Jilani (Radi Allahu ‘ta'ala Anhu). It suffices to give a sprinkling of a few verses from some of the mashaykh in various languages beginning with Arabic. (Transliteration and translation by Shaykh Muhtar Holland, in Qalaid al-Jawahir, p. 552). ??? For the sake of the Beloved Prophet and Shaykh Jilani. Next, let us savour the following four lines in the Indonesian language from Shaykh Hamzah Fansuri, Rahmatullahi ‘alayh, as given by Prof. Sayyad Muhammad Naquib al-‘Attas in Some Aspects of Sufism as Understood and Practiced Among the Malays, p. 22. Called Abd'al-Qadir Sayyad of Jilan. Now we come to the translation of the abyaat (couples) of Sultan al ‘Arifin Sultan Bahu, Rahmatullahi ‘alayh in Champay Dhee Bootee (The Jasmine Plant, p. 33), a classic in kalaamu’l ma'rifa in the Punjabi language. There is so much manqabat on the Ghawth al-A’zam (Radi Allahu ‘ta'ala Anhu) that it is not possible to do justice to it all. But perhaps we can get the blessings of the opening quatrain of this “Salaam” (Salutations) on him by an anonymous poet. Finally, let us benefit from the SalaamsofImam Ahmad Raza Khan(Radi Allahu ta'ala anhu). He composed Salaams on the Beloved Prophet Muhammad (Salla Allahu ‘alayhi wa Sallam) in which after profuse salutations on the Beloved Prophet (Salla Allahu ‘alayhi wa Sallam), he also sent salaams on the Ahl al-Bayt and the Sahaba (Radi Allahu ta'ala ‘Anhum), as well as on the Imams of madh-hab, the awliya Allah and the salihin (the pious), Rahmatullahi ‘alayhim ajma'een. Tazkiratu’l awliya (the dhikr of the friends of Allah) is truly unending. May Allah (Subhanahu wa Ta'ala) forgive us and give us the hidaya (guidance) to live Islam according to the Qur'an al-Kareem and the lifestyle of the Beloved Prophet Muhammad (Salla Allahu ta'ala ‘alayhi wa Sallam) as explained and exemplified by Ghawth al A'zam Shaykh ‘Abdul Qadir Jilani (Radi Allahu ‘ta'ala Anhu), Aameen Yaa Rabbal ‘Aalamin. 1414 A.H, 1993 C.E, Toronto. Augmented, 1422 A.H, 2001 C.E, Toronto. 1.Al-Ghunya li-Talibi Tariq al-Haqq (Sufficient Provision for Seekers of the Path of Truth), Dar al-Albab, Damascus, n.d. Translated. by Shaykh Muhtar Holland, Al-Baz Publishing, Ft. Lauderdale, Florida, 1997. Urdu translation by Mawlana Sayyad Abd ud Daim Jilani, Darul Isha'ah, Karachi, 1990. 2.Futuh al-Ghaib (Revelations of the Unseen), Dar al-Albab, Damascus, 1986. Translated by Shaykh Muhtar Holland, Al-Baz Publishing, Florida, 1992. 3.Al-Fath ar-Rabbani (The Sublime Revelation), Dar al-Albab, Damascus, n.d. Translated by Shaykh Muhtar Holland, Al-Baz Publishing, Houston, Texas, 1992. Also translated by Shaykh Muhammad al-Akili as The Endowment of Divine Grace, Pearl Publishing House, Philadelphia, 1990. Urdu translation by Mawlana Ashiq Ilahi Mirthi, Madina Publishing Company, Karachi, 1976. 4.Jala al-Khawatir (The Removal of Cares), Maktaba Nabawiya, Lahore, n.d. Translated by Shaykh Muhtar Holland, Al-Baz Publishing, Hollywood, Florida, 1997. Also translated as Jila al-Khatir (Purification of the Mind) by Professor Shetha Al-Dargazelli and Louay Fatoohi, published by A. S. Noordeen, Kuala Lumpur, Malaysia, 1999. 5.Sirr al-Asrar (The Secret of Secrets), interpreted by Shaykh Tosun Bayrak al-Jerrahi al-Halveti, The Islamic Texts Society, Cambridge, England, 1992. 6.Malfuzat (Talks and Sayings), Translated by Shaykh Muhtar Holland, Al-Baz Publishing, Houston, Texas, 1992. 7.Khamsata Ashara Maktuban (Fifteen Letters). Translated from Persian into Arabic by Ali ibn Husam ad-Din al-Muttaqi, and from Arabic into English by Shaykh Muhtar Holland, Al-Baz Publishing, Hollywood, Florida, 1997. 1. Imam Shihabuddin Umar ibn Muhammad Suhrawardi, Awarif al Ma'arif (The Gnosis of the Gnostics), Dar ul Kutub al-Ilmiyya, Beirut, 1413/1993. 2. Imam Abdallah ibn Alawi al-Haddad, Risalat al Mu'awana (The Book of Assistance), translated by Dr. Mostafa al-Badawi, The Quilliam Press, London, 1989. 3. Imam Abdallah ibn Alawi al-Haddad, It-haaf-is-Saail (Gifts For The Seeker), translated by Dr. Mostafa al-Badawi, The Quilliam Press, London, 1992. 4. Abu'l Hasan, Nur Namu (An Exposition On The Light of Prophet Muhammad, peace be upon him), in Sindhi, Matba'a Muhammadi, Mumbai, n.d.
5. Shaykh Abdallah bin Mu'allim Yusuf al-Qutbi al-Qadiri, Al-Majmu'a al-Mubaraka al-Mushtamila 'alaa Kutubi Khamsa (A Blessed Compendium of Five Books), al-Maktaba al-Islamiyya, Mogadishu, n.d.
1. Shaykh Muhammad ibn Yahya at-Tadifi, Qalaid al-Jawahir (Necklaces of Gems), A Biography of the Crown of the Saints, Shaikh Abd' al-Qadir al-Jilani, translated by Shaykh Muhtar Holland, Al-Baz Publishing, Fort Lauderdale, Florida, 1998. 2. Shaykh Hasan bin Umayr ash-Shirazi, Iqd al-Iqyan, as-Sayyad Muhammad Umar Qullatayn, Zanzibar, 1362 A.H.
3. Shaykh AbdurRahman bin Ahmad az-Zaylai, Fayd ur Rahmani, in Majmu'a Mushtamila (A Compendium of Writings), al-Maktaba Islamiya, Djibouti, 1972. 4. 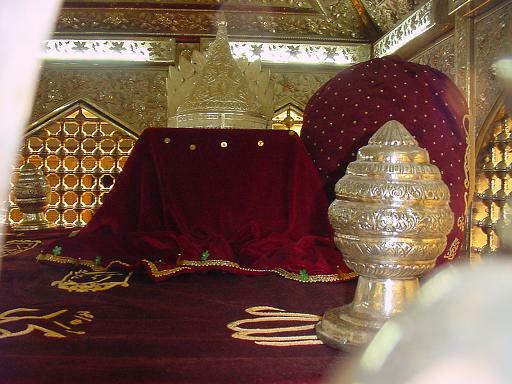 Hazrate Mawlana Muhammad Ilyas Attar Qadiri, Jinnat Ka Baadshah (The King of Jinns and Other Marvels of Ghous-e-Azam), Maktabat ul Madeenah, Shaheed Masjid, Karachi, n.d.
5. Miya Umar Din, Anwar-e-Qadiriyya, (The Lights of the Qadiriyya), Miyan Muhammad Bakhsh Trust, Faisalabad, 1985. 6. Al-Allama AbdurRahim Khan Saheb Qadiri,Sirat-e-Ghawth-e-A'zam (The History of the Ghawth al-Azam), Maktaba Nuriyya, Lahore, 1996. 7. Dr. Zahurul Hasan Sharib,Ghawth ul Azam Piran-e-Pir (The Greatest Spiritual Helper, The Shaykh of Shaykhs), Asma Publications, Sharib House, Ajmer, 1961 and 1989. 8. Dr. Muhammad Haroon, The World Importance of Ghaus Al Azam, in The Islamic Times, Raza Academy, Stockport, England. 1. Al-Hajj Ismail ibn Sayyid Muhammad Said al-Qadiri, Fuyudaat ur Rabbaniyya, A Compendium of Invocations and Supplications of Shaykh Abd'al-Qadir al-Jilani (Radi Allahu Anhu), Maktaba Ishaah al-Islam, Delhi, n.d; translated by Shaykh Muhtar Holland as Emanations of Lordly Grace, Al-Baz Publishing, Ft.Lauderdale, Florida, 2000. 2. Muhammad Salim Bawwab, Al-Awraad ul Qadiriyya (The Regular Voluntary Invocations of Shaykh Abd'al Qadir al-Jilani), Dar al-Abwab, Damascus, 1413/1992. 3. Hadrat Mulla Ali al-Qaari, Hizb ul Azam (The Exalted Supplication), Taj Company, Karachi, n.d.
4. Shaykh AbdurRahman ibn Shaykh Umar Ali al-Qadiri, Al-Jawhar un Nafis (The Most Precious Pearls), Maktaba Isha'ah al-Islam, Delhi, 1383/1964. 5. Shaykh AbdurRahman ibn Ahmad az-Zaylai, Majmua Mushtamila (A Compendium of Writings), al-Maktaba al-Islamiyya, Djibouti, n.d.
6. As-Sayyad Muhammad bin Alawi al-Maliki al-Hasani, Duru'ul Wiqaya bi Ahzabil Himaya (Armours of Protection For Security Forces), Dar Wihdaan Lit-taba'a, 1414. 7. Nur ud Din ibn ash-Shaykh Husayn Mahmud al-Ghasani, Maktaba Mustafa al-Babi al-Halabi, Cairo, 1972/1392. 8. Al-Hajj Pir Husayn Shah Saheb Qadiri, Khatam Sharif Sarwari Ghawthi Qadiri (The Completion of the Noble Zikr Among The Sarwari Qadiriyya), Shawqat Book Depot, Karachi, n.d.
9. Qari Ridaa al-Mustafa Azami, Majmu'a Wazaaif (A Compendium of Invocations), Dar ul Ulum Amjadiya, Maktaba Ridwiyya, Karachi, 1397/1978. 10. Iqbal Ahmad Nuri and Anis Ahmad Nuri, Qadiri Ridwi Majmu'a Wazaaif (A Compendium of Invocations of the Qadiriyya), Maktaba Nuriyya Ridwiyya, Sikhkhir, 1994. 11. Women Islamic Mission, Majmua Wazaaif (A Compendium of Invocations), Khawatin Islami Mission, Karachi, n.d.
1. Imam Muhammad ibn Sulayman al-Jazuli, Dalaail ul Khayraat (Proofs of Good Deeds), Maktaba Isha'ah al-Islam, Delhi, n.d.
2.As-Salawaat wal Madaih Fee Hubbir Rasul (Blessings and Eulogies for the Love of the Beloved Prophet Muhammad, peace and blessings of Allah be upon him), Iqra Islamic Publications, Toronto, 1418/1997. 1. Imam Abdallah ibn Alawi al-Haddad, Ad-Durrul Manzum li Dhawil Uqul wal Fuhum (Poetic Pearls For Discerning and Understanding Minds), unpublished, 1405. 2. Shaykh AbdurRahman bin Shaykh Abdallah, Dalil il Ibaad Ilaa Sabil ir Rashad (Guide For Servants To the Path of Allah), Matba'a al-Kaylani, Somalia, n.d.
3. Diwan (Collected Religious Poems in Tariqatul Qadiriyya), Mombasa, Kenya, n.d, unpublished, anonymous. 4. Sultan ul Arifin Sultan Bahu, Champay Dhee Bootee (The Jasmine Plant), Malik Ghulam Nabi and Sons, Lahore, n.d.
5.Imam Ahmad Raza Khan, Hadaaiqi Bakhshish (The Gardens of Gifts), Chishti Kutub Khana, Faisalabad, n.d.
6. Sayyad Muhammad Ismail Shirazi, Gulzare Tayyiba (The Pleasant Garden), Shirazi Book Depot, Jamnagar, 1979. 1. Professor Sayyid Muhammad Naquib al-Attas, Some Aspects of Sufism As Understood and Practiced Among The Malays, Malaysian Sociological Research Institute, Singapore, 1963. 2. Maqbool Elahi, The Abyat of Sultan Bahu, Lahore, 1976.
saintly person of Abu'l-Khair Hammad ad-Dabbas. A surname ending in -i will often indicate the bearer's place of birth. al-Qadir (Radi allahu ta'ala 'anhu). the highly "orthodox" school of Imaam Ahmad ibn Hanbal. his revered mother, Umm al-Khair, traced hers through Imam Husayn."